Vicky Hellon joined F1000 in 2017 as the Editorial Community Manager for F1000 platforms, particularly F1000 Research and Wellcome Open Research. Her role encompasses developing content across the platforms, building collaborations and communicating the benefits of F1000’s unique publishing model to researchers across a range of career stages. She previously studied Biomedical Science at the University of Sheffield before moving into open access publishing at Nature Research. She is passionate about the progression of open research and particularly enjoys opportunities to actively engage with the research community. Ivan Oransky, MD, is Distinguished Writer in Residence at New York University’s Carter Journalism Institute, where he has taught medical reporting in the Science, Health, and Environmental Reporting Program since 2002. He is co-founder of Retraction Watch, a site that reports on scientific integrity, fraud, and other issues. 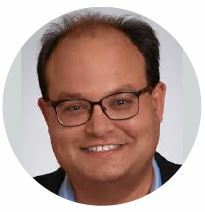 Ivan previously was global editorial director of MedPage Today, executive editor of Reuters Health, and held editorial positions at Scientific American and The Scientist. A 2012 TEDMED speaker, he is the recipient of the 2015 John P. McGovern Medal for excellence in biomedical communication from the American Medical Writers Association, and in 2017 was awarded an honorary doctorate in civil laws from The University of the South (Sewanee). Ivan, who holds an appointment at the School of Medicine as a clinical assistant professor of medicine, has also taught at the City University of New York Graduate School of Journalism and has written for publications from Nature to the New York Times. As of September 2017, he serves as president of the Association of Health Care Journalists. Richard Stephens is the joint Editor-in-Chief of BMC’s Journal of Research Involvement and Engagement, in some ways a natural extension from his secondary career as a freelance journalist (mostly sports) and author (mostly local history). 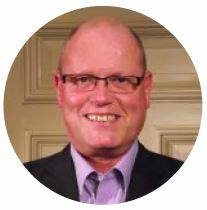 His main professional life was spent in education and in local government, but Richard is now a full-time patient advocate in research, driven by a desire to make sure that research outcomes benefit patients, and that the process of participating is made as easy as possible so that patients can help bring benefits to other patients. He Chairs the (UK) National Cancer Research Institute’s Consumer Forum and serves with several other international and national committees and bodies, such as EORTC, Eupati, MRC CTU, Genomics England and CRUK. His roles include advisory, funding, and priority-setting work. When time allows, Richard engages in a battle of wills with a gym treadmill, and enjoys sleeping. 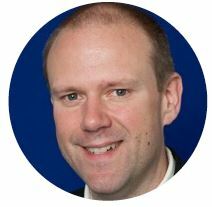 Matthew Westmore is the Operations Director for the National Institute for Health Research Evaluation, Trials and Studies Coordinating Centre (NETSCC – www.nihr.ac.uk). The NIHR’s approach is underpinned by the AViR Framework. Matt leads a cross-NIHR programme of work aimed at maximising the impact of research, reducing waste and Adding Value in Research (AViR). Matt is also a co-convener of an international forum of funders who are interested in sharing best practice.